Terryee Abbott has been a spiritual clairvoyant, clairaudient and clairsentient since she was a small child. Over the years she has used this gift to help build two successful businesses, and several not-for-profit organizations, and to help hundreds of people make positive choices in their business, family and personal lives. She has advised celebrities, CEOs of major companies, investors and politicians. 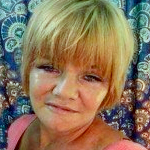 She is also a dream interpreter able to do remote viewing and works with the ascended masters and archangels and guides to help clients with relationships, money and life decisions. She has recently begun to share this gift by teaching people how to go directly to go to their own guides and angels and receive the information themselves. How will I create prosperity?